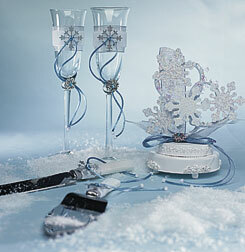 Wedding favors, whether whimsical, fancy or romantic do not fail to impress guests. Whatever your personal style or tastes, these will also reflect the persona that you are, so do choose wedding tokens or favors after going through the little details that make a big stylish yet practical difference. The best surprises come in little packages and this speaks for wedding favors. With this kind of viewpoint bridal couples should work together to come up with spectacular personalized items that reflect both their styles and tastes. Choosing the bridal favors together also gives the couple more time to be together in spite of the fact that preparations for the wedding are tough on schedules. Shopping for wedding giveaways should not be a drain on one’s nerves. There are one-stop bridal shops that provide everything couples need for wedding package. These shops have a huge selection of the latest classy items bridal couples would be proud to give their wedding guests and likewise, guests would be tickled pink to receive these fantastic novelty items. No matter how little the package, the message sent by these wedding favors will go a long way. This gesture reinforces the saying that little things mean a lot. Here are some of the items you can find in bridal shops – ceramic lovebirds salt and pepper shakers, eco-friendly bamboo pen, Mr. and Mrs. shoe-shaped shoe polish containers, miniature wooden boxes with tree design, and miniature good luck elephants. With a wide range of selections available for theme weddings and seasons of the year, it would be great fun choosing wedding favors; just going through the assortment of wedding favors is a delightful eye-popping experience. Couples shopping together easily spot items that have significance for them as a couple. If they prefer romantic candles that reflect their upcoming union, they might go for lovebirds-shaped votive candles or infuse fun into their message with a two peas in a pod candle. The two different candle designs send two different messages – one is 100 percent romantic whilst the latter reflects the couple’s sense of humor. The point here is to choose something that reflects the couple’s style without going overboard. 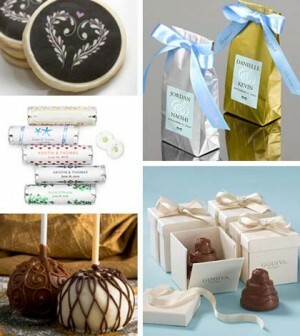 Wedding favors generally come in three types – edible favors, practical favors, and whimsical favors. All of these can reflect the wedding theme and these are packaged elegantly or with a tad of whimsy should the couple decide to go for out-of-the-ordinary packaging. The items should be scrutinized first-hand before you make an order because this might not be what you expected. If you are ordering online, do so several weeks before the wedding; should there be any breakage due to shipping and handling, or product defects that went unnoticed, there is still time to have them replaced. Check out the available decorations for the packaging, whether you are opting for “retro” tin boxes or carton packages. There are heart-shaped boxes, tall boxes and little boxes, heart-shaped tins, square and round tins. If you opt for unboxed wedding favors, there are ribbons in various colors and sizes to decorate the bottle openers, glassware, or wooden birdhouses, if these do not have their own packaging. Every detail from the choice of wedding favors to packaging should be selected with care. Without telling them so, your guests know you have made a good job of choosing the amazing little surprises. 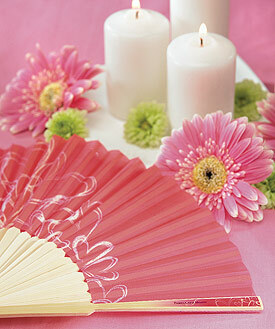 Go over the wedding favors with the exacting eye for details when going over wedding dresses. When shopping for wedding dresses in Toronto, do ask for the latest in all wedding paraphernalia. 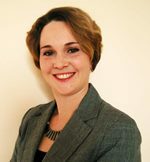 For more information, visit BestForBride.com today. I love the idea of something quick and small. I also kind of love that the wedding party essentially wore whatever they came in. So cute. However, we prepared for an old-school style capsules with an assortment of favorite goodies inside. We really want a fun favors for them.